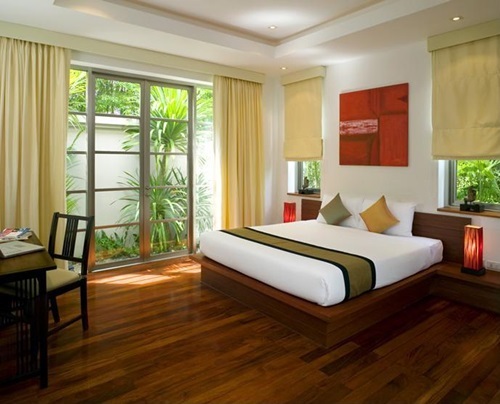 Are you looking for a peaceful and warm bedroom with fewer expenses as much as possible? 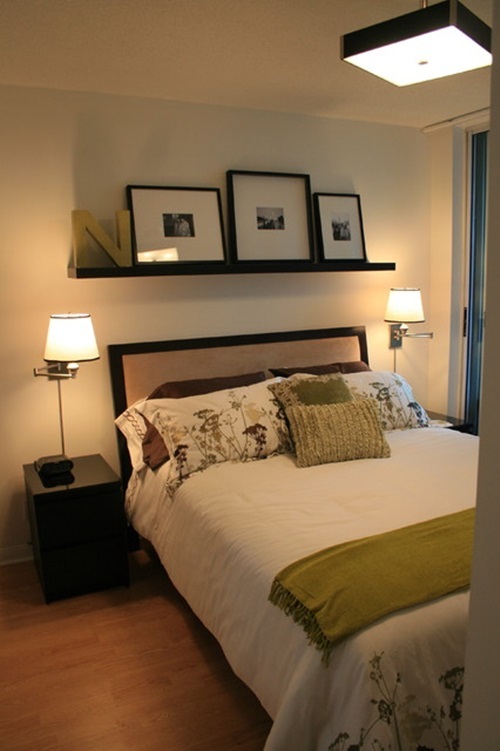 You need to know how and try some do-it-yourself projects .Your new bedroom needs some decor, painting, and lighting. 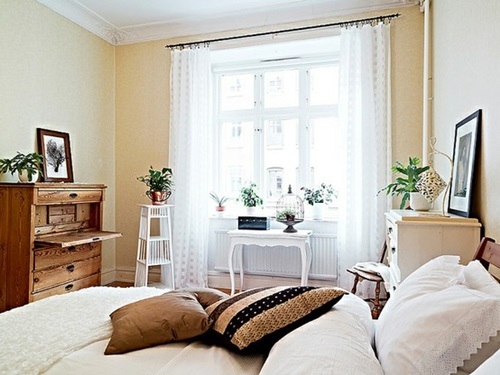 Small and simple decors could be on a budget. Few wall sconces and candles are enough to give the room a romantic environment. You can simply frame your personal and family pictures and hang them on the wall to be satisfied whenever you see them. Changing drawers’ handles is a nice touch, especially when you replace them with artistic handles along with nice vase and throw pillows. 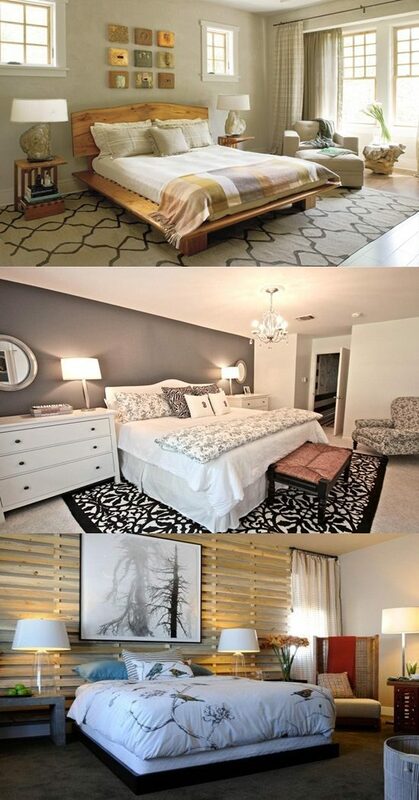 As for the floor, one rug is enough to give the room a luxurious look. It could be cut into two parts and put on the two sides of the bed. Sometimes, you need to read small books before sleeping. In this case, a small bookshelf is required near the bed. It could be used to save small pictures and bills. Painting on budget is the easiest part of work. The main rule is to use three colors at most. You can use mixtures of colors to create your favorite result. Or you may choose an accent color, and then choose the two colors that coordinate with it. 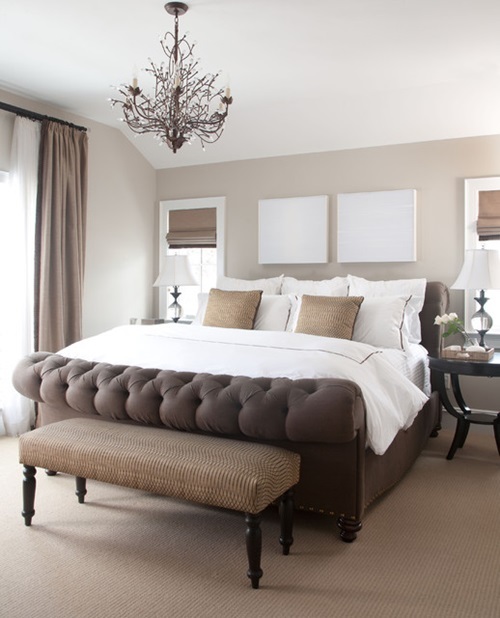 It would be better if you could paint the accent color behind the bed, interior stylist Mr. Jason Grant describes this saying:” This acts like an over-scaled bedhead”. Practice more painting according your own taste and apply your style and color-scheme, but try to be co-ordinated. If you have no idea about the possible color-scheme, you can visit the specialized websites to choose the suitable one. 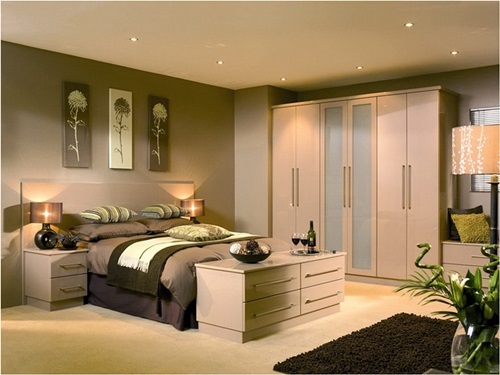 Lighting is the most restful way in decorating your bedroom. Surely, a candle light along with some tender odors will give you extreme relax .Lampshades are helpful when you are going to sleep. 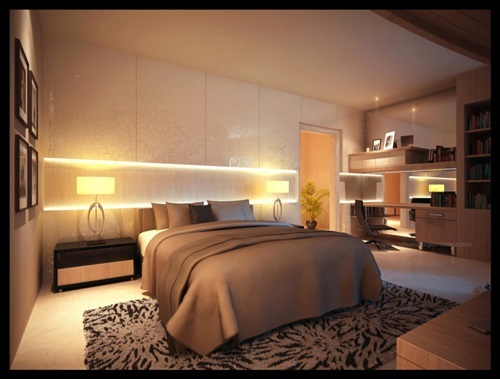 Matching table lamps has real impact in the room especially when you have a mirror to reflect the light. At morning, open the windows to let the sun light reflected on the mirror to give a healthy and natural glow to your bedroom.